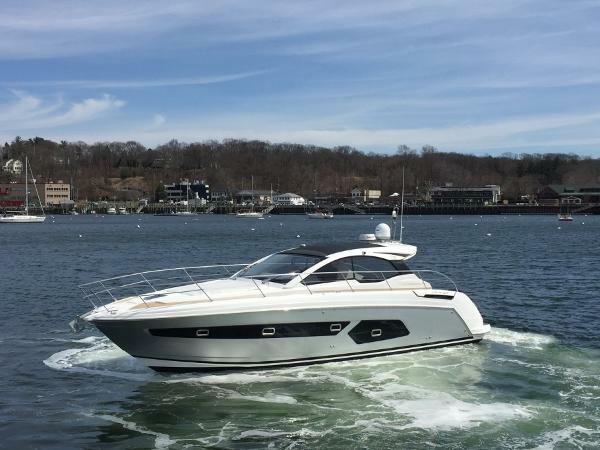 2017 Azimut 43 ATLANTIS - Newly Listed - Don't miss it. 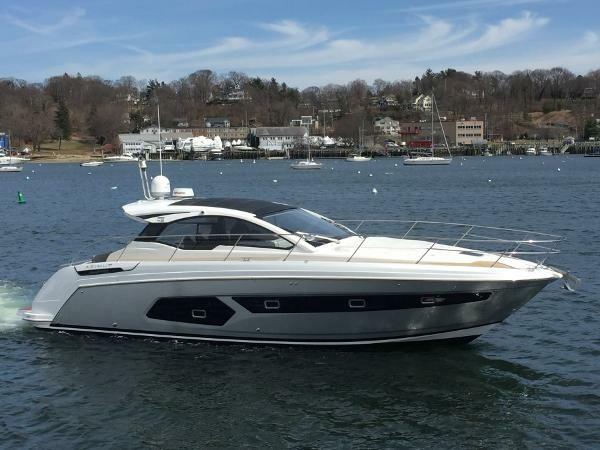 Priced to Sell - just 84.1 hours on engines with Passport Extended Warranty through 6-23-2024! 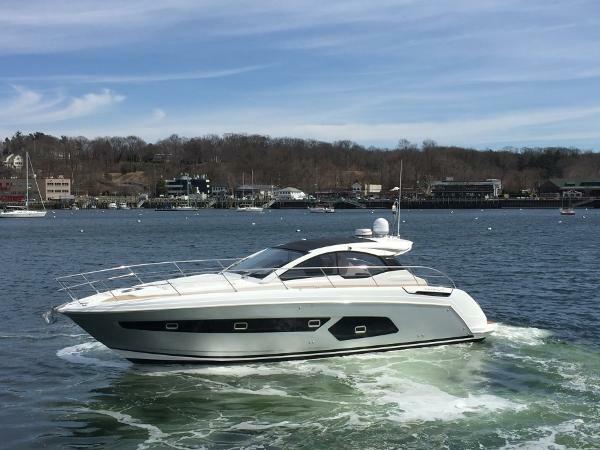 Original Azimut Factory OEM Manufacturer's Warranty still in place through Mid-June 2019! Original Equipment: Twin Volvo D6 400hp Diesel Stern Drives (84.1 engine hours as of 3-27-19), Painted Hull in Miami Silver Hull with Black Boot Stripe, Warm Grey Oak Interior, Additional Bed in Aft Cabin (3 total in aft cabin-vessel sleeps 7-very flexible arrangement for children/adults/guests), 2 Oskar Cockpit Chairs, Icemaker in Cockpit, Maneuvering Joystick, Raymarine Platinum Package, Step Lights for Exterior, Premium Package ( BBQ in Cockpit, Tender Garage with Launching System, Bow Thruster, Chaincounter Control on main helm, Covers for Sunbathing Cushions, Electric Searchlight, Set of Cutlery, Sofabed in Dinette, Sunbathing Cushions with Cover on Bow) Teak in cockpit, side decks and swim platform, Sunroof Moldings and Helm Dash in Carbon Look, Cockpit Cushions in Charcoal Batyline Fabric and Décor Upgrades. Installed Locally: Custom White Stamoid Removable Aft Curtain, TV Package (3) with DSS SAT TV System and Receivers plus Complete CG Package. In Service Date of 6-23-2018. Also includes Transferrable Passport Warranty through good through 6-23-2024! Located on Long Island-Call Listing Broker for an appointment and showing today! 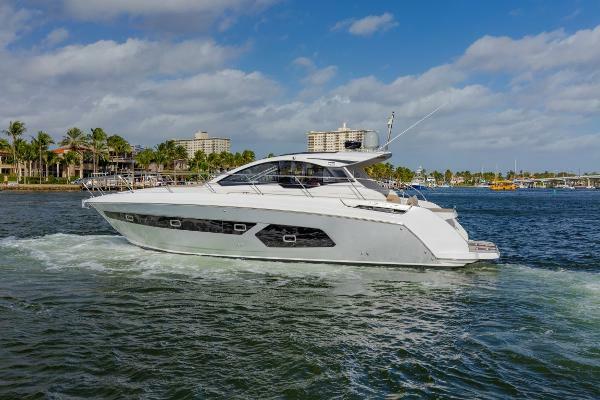 Exciting 43' Atlantis listed now in Fort Lauderdale, Fl. Owner moving up and said to price her to see now...Painted hull with tender garage (includes tender) and nice open cockpit area to enjoy. Large 2 cabin layout below with 2 heads and showers.. 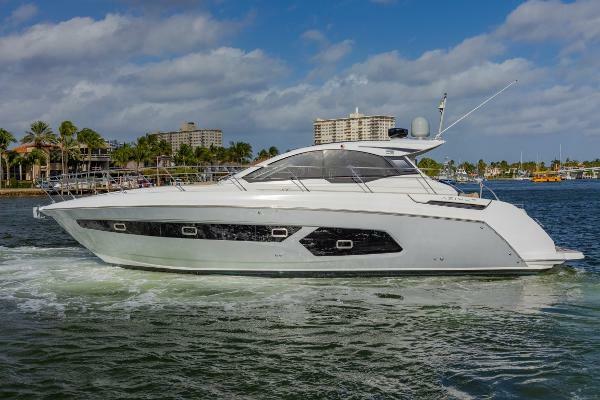 Runs great with Volvo diesels and the perfect boat for day cruising or a trip to the Bahamas for the weekend. 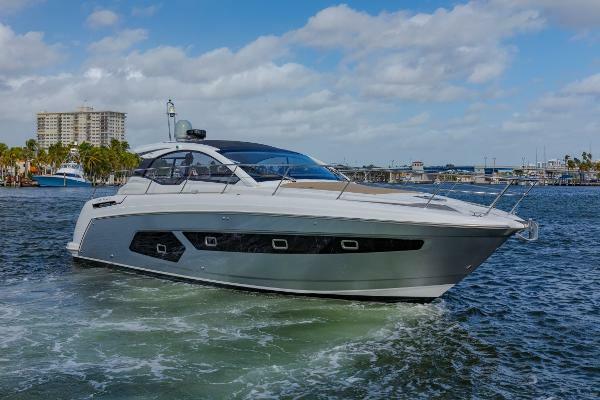 Call for more details and to get onboard at Bahia Mar marina..
"Sporty, high-performing and dynamic, to experience the sea in a truly unique way. Atlantis is a versatile sports cruiser for those who love chasing the waves and seeking the true trill of life at sea. 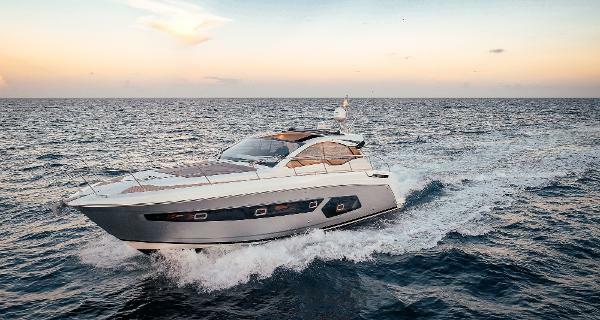 Great cruising ease, the ideal balance between quality and safety, the perfect alchemy of beauty and functionality: and all in large, welcoming spaces and meticulously planned interiors in line the best Italian design. 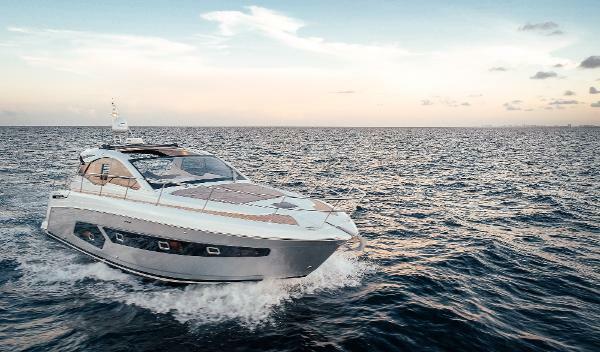 Sporty elegance with sleek, harmonious lines, responsive handling and utmost comfort, combined with unexpected space: the yacht’s width and the height of each environment are among the largest in its class." Maximum comfort and liveability: a dynamic, high performance sport line. The new Atlantis 43 is Best in Class in design and layout, featuring a skillful organisation of both its interior and exterior, with an extraordinarily spacious deck.